If you are on the lookout for your next vehicle, come see the professionals at Oxmoor Chrysler Dodge Jeep Ram. We’ll get you set up with your Dodge lease in Louisville, Kentucky in no time. Leasing is a perfect option for drivers who live in the city, have short commutes, and can appreciate a great car at an affordable price. Contact the Oxmoor Chrysler Dodge Jeep Ram finance center today to find the right Dodge financing solution for you. At Oxmoor Chrysler Dodge Jeep Ram, you can sign the lease on your next Dodge car or SUV. 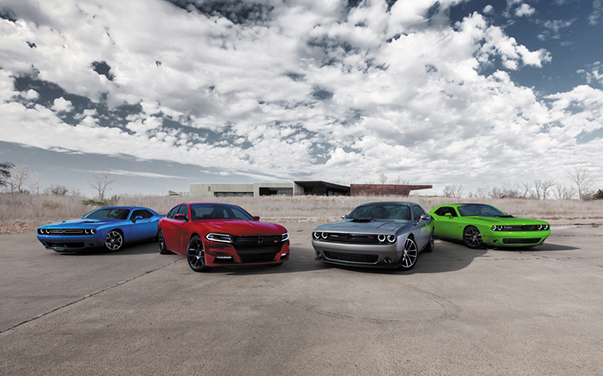 The Dodge Challenger seamlessly combines the classic muscle car with innovative technology and impeccable performance. If you prefer a more luxurious ride, check out the Dodge Durango, complete with a powerful engine and a spacious cabin for family trips. Visit our Dodge finance center at Oxmoor Chrysler Dodge Jeep Ram today to learn more about our leasing options. Treat yourself to the Dodge car or SUV of your dreams at Oxmoor Chrysler Dodge Jeep Ram. We offer a full range of financing options including vehicle trade-ins, auto leases, and traditional car loans. Make sure to ask one of our financing professionals about special financing options and our current Dodge lease offers. Visit our showroom today to test drive your favorite Dodge model around the busy streets of Louisville, KY.